This entry was posted on November 8, 2013 by Russell Smith. 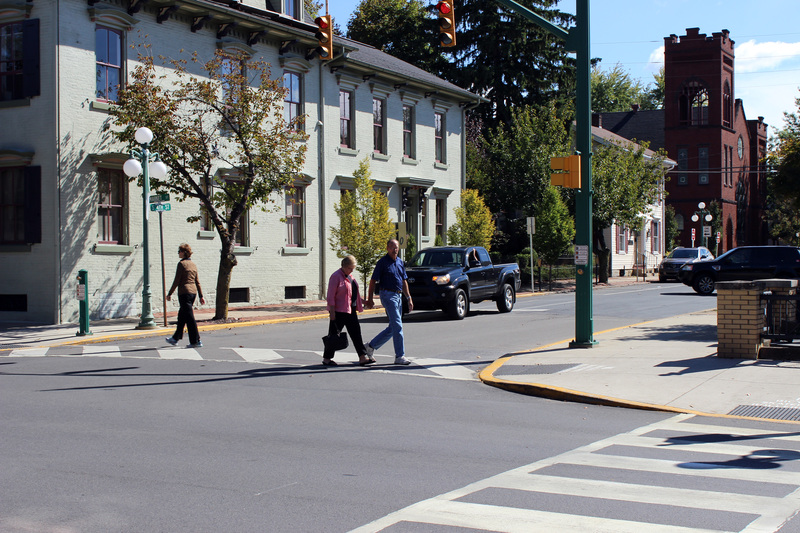 It was filed under Street and was tagged with couple, Lewisburg, Pedestrians, Pennsylvania, Russell Smith. Very true. I think that’s one of the reasons we are here- to help others. It was you who taught me the importance of giving money to charities. I’d lived a pretty selfish life before then. Thank you for your wisdom, Margaret. It’s in Lewisburg, Pennsylvania. It’s where Bucknell University is located, smack dab in the middle of PA.